Baked mixture of eggs, cormeal and Campbells® Healthy Request® Condensed Tomato Soup topped with tomato maple chipotle sauce. 2. In a bowl, whisk together 1 qt. Campbell's® Healthy Request® Condensed Tomato Soup, water, eggs, oil and chipotle powder. Reserve remaining 1-1/2 cups soup. 1. 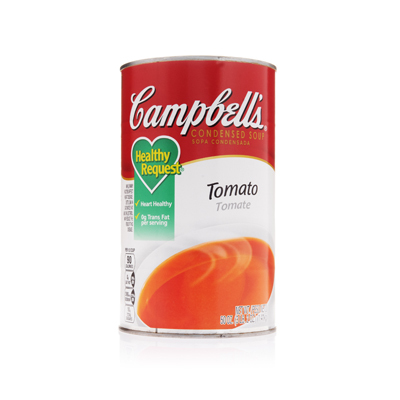 In a pot, combine remaining Campbell's® Healthy Request® Condensed Tomato Soup (1 1/2 cups) and maple syrup. Bring to a boil. Reduce heat. 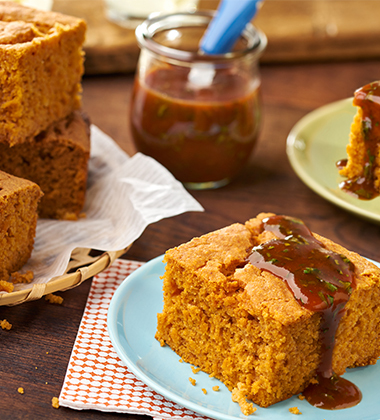 Simmer for 3-4 minutes.